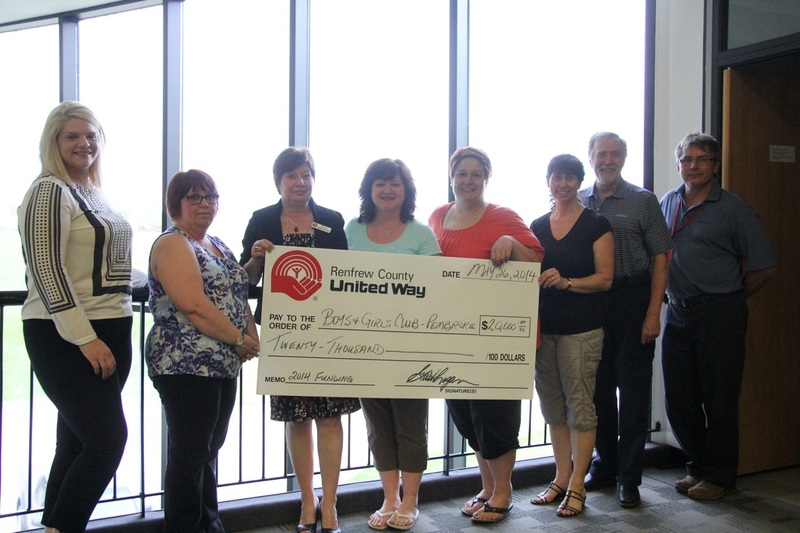 raises $75,000 for local charities. ﻿The numbers have been crunched on the second annual Jason Blaine Celebrity Charity Golf Classic, and the two day music and golf extravaganza has raised $75,000 for the community, mainly to be divvied up between Algonquin College, the Pembroke and Area Boys and Girls Club, the Pembroke Regional Hospital Foundation's MRI campaign, and any not-for-profit agencies and organizations in the area who apply for funding to provide their staff with Mental Health First Aid training. "I just can't express enough thanks," said Blaine after the announcement of the princely total, which surprised even him, "to this community, to all the sponsors, and my committee, who worked so hard behind the scenes to make this all happen. To Chad [Brownlee], Tim [Hicks], Ben [Rutz], and the Western Swing Authority for coming out; we had a great night last night, and a great day of golf today. Last night, our live auction was very, very exciting, and today we've managed to hit a goal that last year we thought was very, very ambitious, but we were shooting for the stars and swinging for the fences, and this community really stepped up." 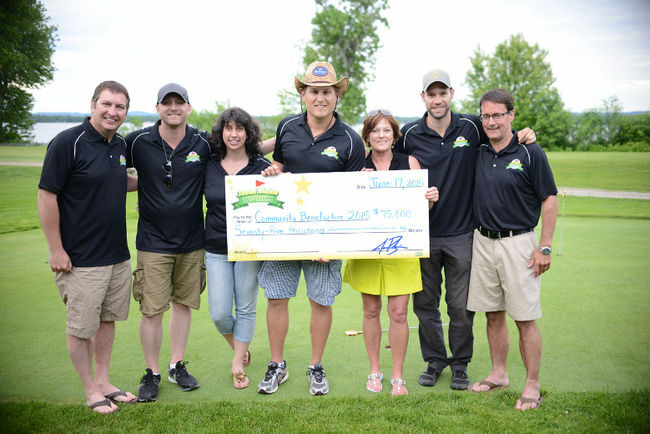 Last year, Pembroke's own international country music superstar came back to his home town, bringing the culmination of two years of planning and work to make his dream of hosting a charity golf tournament a reality. The inaugural 2014 gala concert and tournament raised more than $50,000 for causes in and around the community. At the time, raising half-again as much money was dreamt up as a kind of best-case, dream scenario, and for Blaine, actually reaching that goal was almost miraculous. "It's a kind of proof that sometimes," he says, "you just need to take a leap of faith and put one foot in front of the other and see where it takes you." 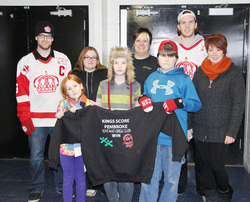 Pembroke Lumber Kings game on Feb. 9, 2014 included a mitten toss to benefit the Boys and Girls Club. 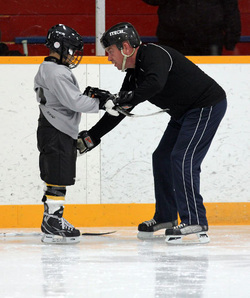 Click on the picture to see the amazing article written in the Pembroke Observer about this great program.